HUMAN remains found in a shallow grave near Caboolture this week have been confirmed as Samuel Thompson's. The north Brisbane man went missing on March 7 and his orange 2016 Ford Mustang was found abandoned in northern NSW on March 9, sparking a large-scale murder investigation. On the weekend, police were led to a forest on Pumicestone Rd where cadaver dogs made the grisly discovery. A post-mortem on Wednesday was able to confirm Mr Thompson's DNA and determined he was seriously assaulted. Samuel Thompson was last seen on Tuesday, March 7. However police are still to confirm exactly how he was killed. It comes four days after cadaver dogs were used to find remains in pine forests north of Caboolture. A crime scene was established on April 3, about 400m in from the entry into the forest on Pumicestone Rd. 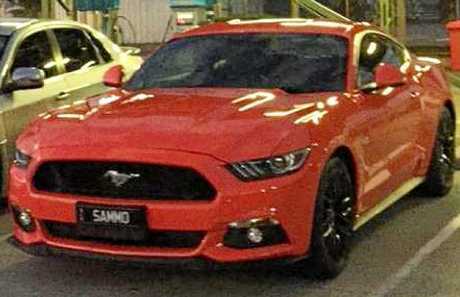 Samuel Thompson's 2016 Ford Mustang, with Queensland registration SAMMO, was spotted in Bald Hills and northern New South Wales before being located on Tweed Coast Road. The officer in charge of the investigation into Thompson's disappearance, Detective Inspector Tim Trezise said the grisly find came about as a result of a three day investigation. "We've found what we believe to be a grave site and we believe it to have human remains in it," Insp Trezise said. 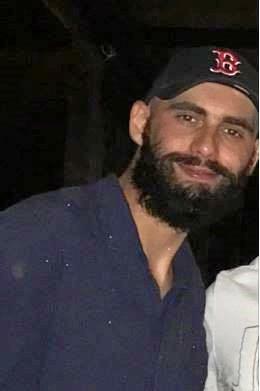 "We've been conducting a three day investigation in connection of the death of Samuel Thompson.